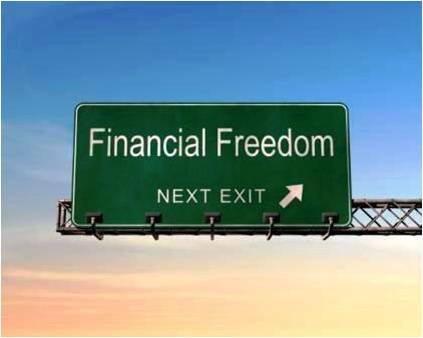 Living Life by Design - with Alan and Mark: Financial Freedom - Is It Just a Dream? Financial Freedom - Is It Just a Dream? I needed a 'Plan B'. However, I couldn't afford a franchise, I didn't have the money to invest (and investments are risky - I've known several people who have lost so much that way), and I didn't want to change my job - so I felt stuck. Then 'Plan B' found me! And I have so much appreciation for those who brought it to me. The joy and security that comes from residual income is something that is magical. I get paid every week - (I love Mondays!) - sometimes each day, and definitely every year! It's a beautiful thing. Why - I even get paid while I'm sleeping!!! 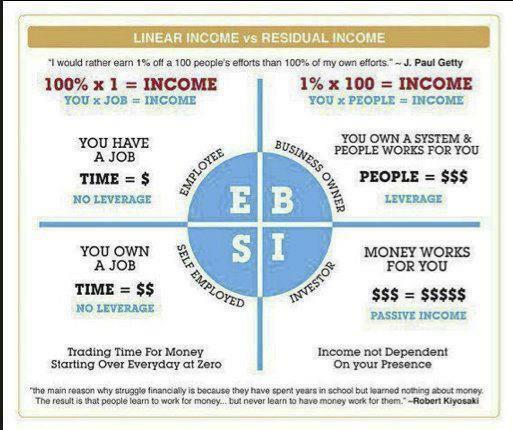 Robert Kiyosaki - a self-made millionaire - came up with his 'cashflow quadrant' showing the difference between a JOB and Residual Income. As a result of my Plan B, my retirement years are going to be sweet!! In fact, my Plan B is about to become my Plan A!! Roll on, June 28th! !